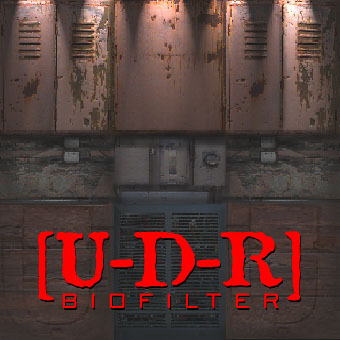 Biofilter was the first [U-D-R] album. It was self released in December of 1997 under Kremareit Productions. Biofilter included a number of the original [U-D-R] demo songs that were remixed / remastered, as well as many new songs written during the latter half of 1997. Several of the original demo songs were dropped in favor of newer songs for the final release. [U-D-R] was mainly influenced by the european electro-industrial style at the time and used a lot of movie samples and heavy distortion on the vocals. This album was largely an experiment in style and technique.